Since 1941, a primary and fundamental partnership has existed between the Canadian Department of National Defence (DND) and the Air Cadet League of Canada. 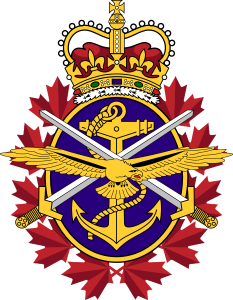 Section 46 of the National Defence Act authorized the formation of cadet organizations, under the supervision of the Canadian Forces (CF). For DND, this includes such major responsibilities as: provision of cadet uniforms, manuals and training aids; training and pay for Officers in the Cadet Instructors Cadre (CIC); and facilities and staff for Cadet Summer Training Camps (CSTC) and approved courses. In carrying out these responsibilities, the CF must take into account the policies and objectives of the Air Cadet League at the national, provincial and local levels, and cooperate with them to the fullest extent possible.